Lookout Mountain native Faith Ruch has come a long way since she walked the halls of Fairyland School. Perhaps it was her grandmother, GPS icon Peggy Thomas, who taught her how to hold her shoulders back and move like a dancer. And it could have been her parents, Mary Jane and Trey Ruch, who taught her business acumen. At any rate, Faith is on the move in the music world, and is setting a pace akin to that of a shooting star. A labor and delivery room nurse in Memphis, she decided to scale back on her hospital hours and follow her dream of singing. But this girl is no mere cover voice, and she only began this journey a mere two years ago. Faith’s musical background consisted of a few childhood piano lessons, but her notebooks contained realms of her words. Poetry was an artistic expression for her, but it was only after a songwriting class that she decided to put her raw emotion to music. Her timing may not have been the best. She worked long, hard hours as a nurse, then practiced her guitar at night until her fingers bled. Her parents are proud of her. “I am just amazed every time she opens her mouth and starts to sing that such a mature, beautiful voice is coming out of my child! When I play her CD, I sing along and wonder where that voice came from...certainly not from Trey or me!” Mary Jane says. Residents of Birmingham, Ala., Trey and Mary Jane say the hardest part of Faith’s career is not being able to be at all of her gigs. Make that the next-to-hardest part. “It’s hard not to give advice, even if I don’t know the business. Of course, unsolicited advice is rarely welcome,” Mary Jane says. 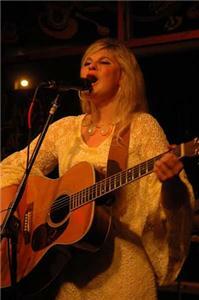 Faith released her first album, “1835 Madison” in 2013, and will release a new single this month. She performed with River City Sessions in March at the Camp House in Chattanooga, and will sing solo at Lake Winnepesaukah on June 2, from 6:30 to 7 as part of Mom’s Monday. Faith owns her own publishing company, Penneylane Publishing, so she gets royalties as a singer, songwriter and publisher. Talk about business acumen. “She does what she wants, so we have raised an independent thinker. A talented, independent thinker with great lyrics and an old soul!” Mary Jane says.